At Bracamontes & Vlasak, P.C., we have a proven track record of success in fire lawsuits. If cause and origin is undetermined or does not impute liability, there are other avenues to investigate for potential recovery against a host of defendants. Fire inspection vendors may have been negligent in performing inspections for annual or five year certification requirements. There may be a faulty product manufacturer responsible for causing or contributing to the cause of the fire or its unnecessary spread. Fire suppression systems are governed by National Fire Protection Association (NFPA) codes and standards. Local and state building, housing and fire codes (California Fire Code) also establish rules and guidelines that must be followed in installing fire suppression systems and keeping them in good working order. Different buildings have different requirements for fire sprinkler systems, so it’s important to find the right law firm that can thoroughly research the applicable requirements for the particular fire and building at issue. For example, although fire sprinklers may not technically be required in a given area of a building, if there are visible fire sprinklers, they must always be in good working order. What makes BV Law unique in litigating fire cases is that since we also have thriving personal injury and tenant practice areas, we can fully recovery for fire victims by asserting all legal claims against all potential defendants. 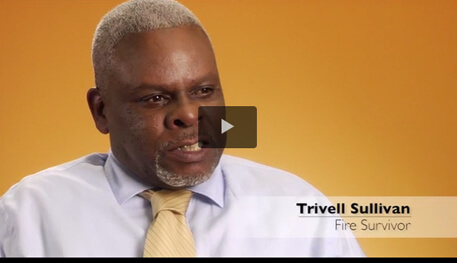 See our burn and smoke injuries and fire litigation pages for more information. 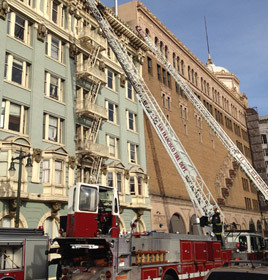 Please see our Firm Results page for examples of success in Bay Area fire litigation, and contact us today regarding your potential fire case. We also can be contacted by phone at 415.835.6777.